Here is an instructive game from GM Andersson who wins a game that would otherwise go unnoticed as his opponent has no fancy title and posesses a modest club player’s rating. Yet there are many little things to be learned. How does a GM win games he is supposed to? What are the typical mistakes of the normal amateur? Let us see the game. Black played the rare 8..dc giving up the d5 central point. This was met by solid practical play and the result was a roughly equal position. White has a well placed central Ne5/Ne4 knight pair while black has the passive bishop pair. What do you recommend for black? The knight pair has shuffled over from e5-e4 to c5-c4. What is next for white? White has long range bishop to play against black knight. But the intended d-file invasion does not look possible and the c5 pawn clamp is being undermined. What should white do? Here is an ordinary endgame from GM Ulf Andersson who grinds out a long ending from a slightly better position. Yet the game was not entirely one-sided as both sides did not follow the optimal path. After 27.Nf3 black has the more active pieces. What do you recommend black now? After 31…Rc2 black is pressing with at least a slight advantage. How should white defend? The R-R is sharp and requires some precision. How should black continue? Here is an instructive queenless game that turns into a RN-RB ending from the endgame Maestro-Sweedish GM Ulf Andersson. ‘Ulf Andersson was born on June 27, 1951 in Vasteras, Sweden. He is a leading Swedish chess player. FIDE awarded him the International Master title in 1970 and the International Grandmaster title in 1972. 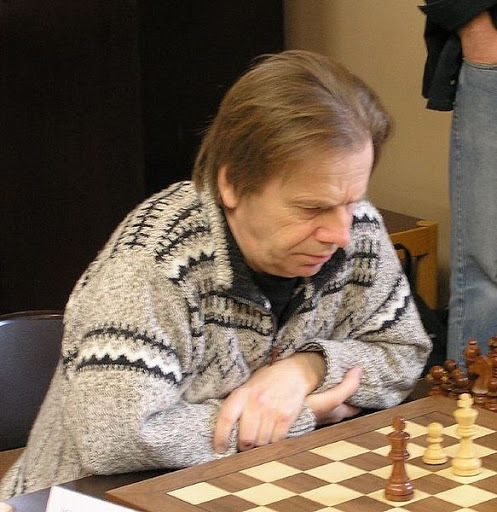 He drew a six-game match against former world champion Mikhail Tal in 1983, and played top board in the second USSR versus The Rest of The World Match in 1984. He led the Swedish Olympiad Team during the 1970s and 1980s. Both sides have majorities and will advance them to create a passed pawn which will then(hopefully) go onto promotion. Play will be on both wings as a strategic race is now on. Black has a useful minor piece for this type of play as the bishop can play on both wings simultaneously. Black also has a temporary advantage in the form of a slight lead in development which takes the form of the active Rc8. How does black execute his plan as quickly and efficiently as possible? Black has sucessfully infiltrated on the kingside and taken the 2nd rank. Everything is going well for black and the win is in sight. But white has ideas too and has just attack the rook with 38.Ne3. What should black do?